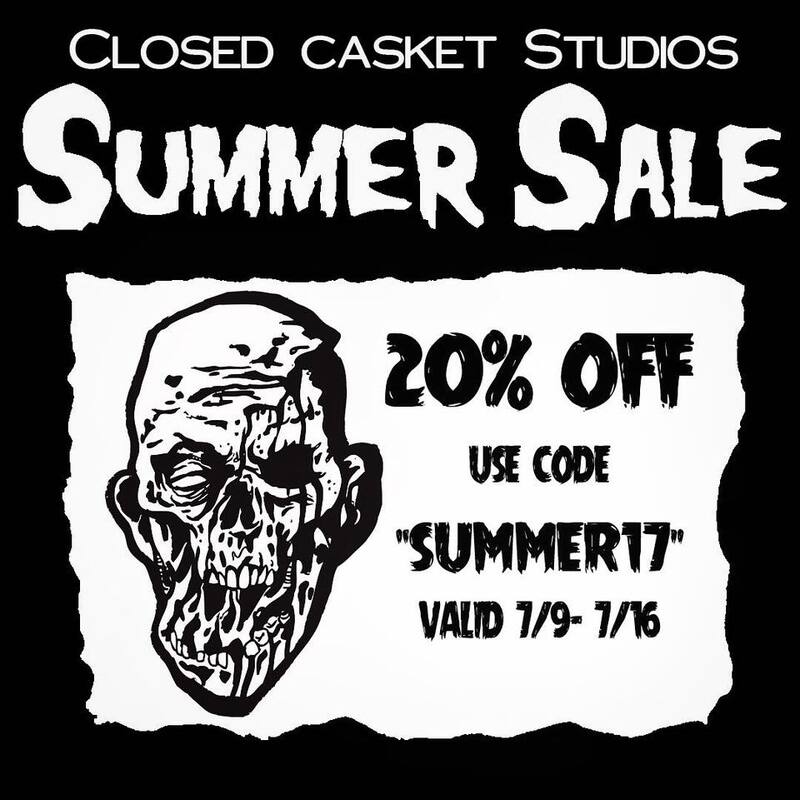 Closed Casket Studios Summer Sale! Hey group, time to score some top notch, top quality prop heads, hands and masks at a killer deal! Fellow Akronite and good friend of the Cemetery, Dave at Closed Casket Studios is running a week-long summer sale. Head over to his site and save 20% now through July 16 with the code below. Each year, a few more of his pieces make their way into my yard haunt display and this year will be no different. I'm a huge fan of his work and I couldn't recommend his pieces enough! But please, leave one Harvester for me!! And tell him that Highbury sent 'ya! !